How to ADD Product ? – first select category from drop-down arrow, if you have to define new category then select add new category, from there itself so that category field will open in add product page. ( this added new category will saved in your category list. You can Update and delete this new category whenever you want. 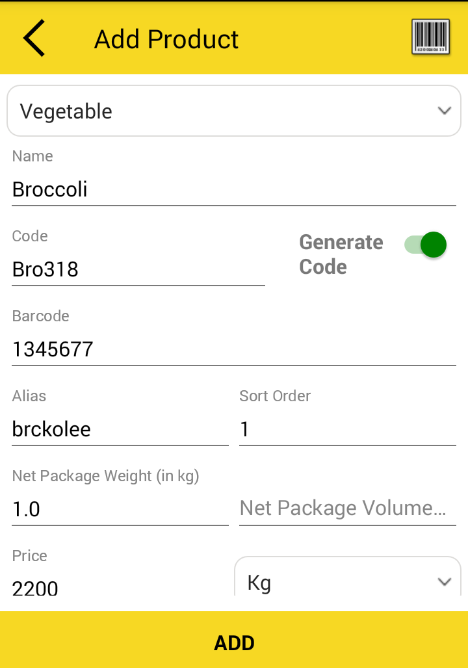 – Generate code -by clicking on Radio Button it will automatically create product code according to product name or user can manually fill product code. – Here bar-code scanner on upper right corner helps to add product by scanning bar-code number through mobile camera. – Alias is useful your for defining product name in other language which is understood by user. – Sort order is useful for defining product list according to our priority Product. For using this feature first we have to enable “show product by sort order ” from setting config. – Net package weight and volume is useful for shipping of goods. 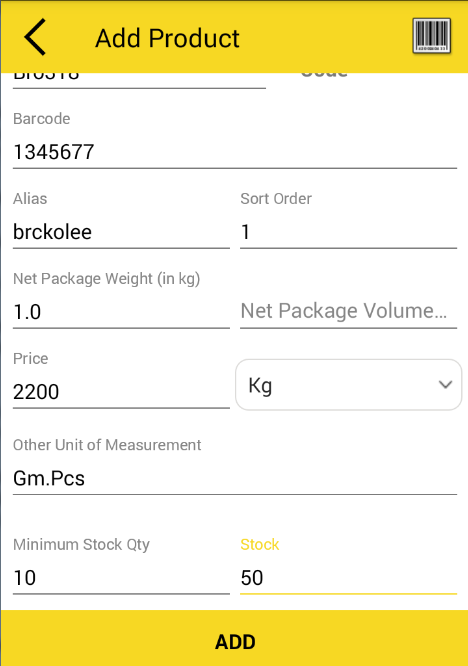 – if user want reminder notification to purchase product before all product sold and to avoid shortage of product then that time user can define ” Minimum stock qty” so application will notify by sending notification on mobile, when the stock is below than defined qty. By Satish Mantri|2018-09-11T08:33:26+00:00May 8th, 2018|Comments Off on How to ADD Product ?